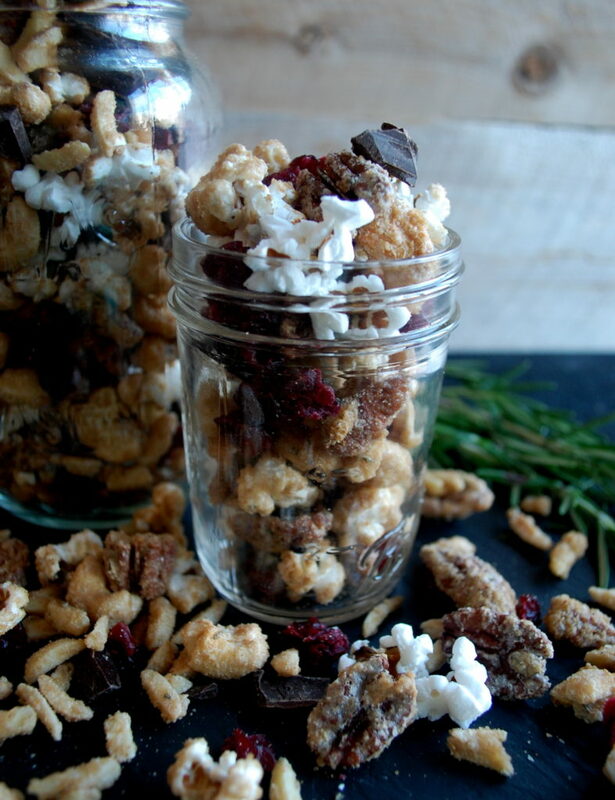 Candied nuts, popcorn, and….chocolate. 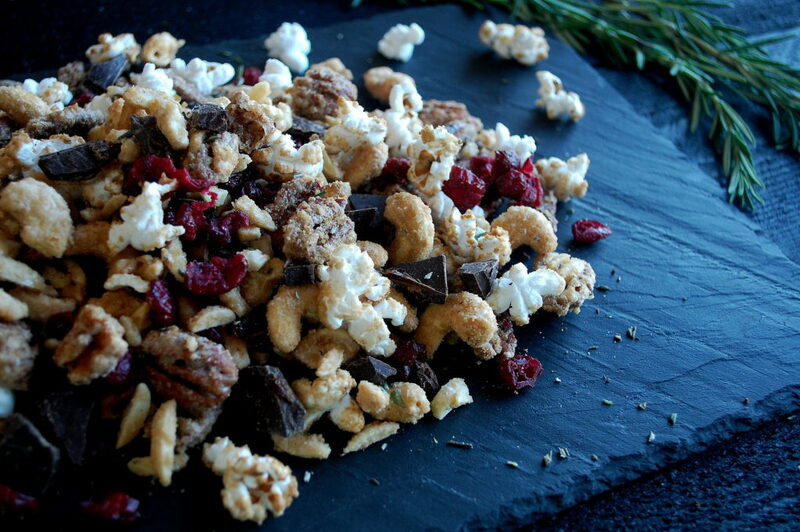 The holidays give me an excuse to combine all three of these things into one delicious mix. 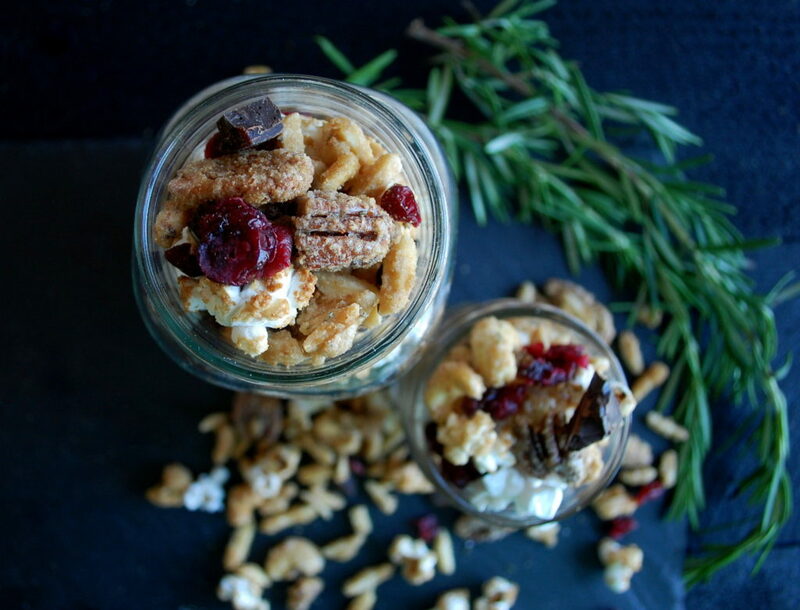 Every year I usually make many, many batches of candied nuts from my Christmas Appetizer Spread. I’ll give them away as gifts or just keep them around the house to munch on. They are definitely pretty addicting. I figured this year I would spruce them up a bit with just a few more ingredients. In this recipe, I’m using cashews, pecans, and almonds, but you can really use any nut you’d like. Usually whatever is already in the pantry works the best. 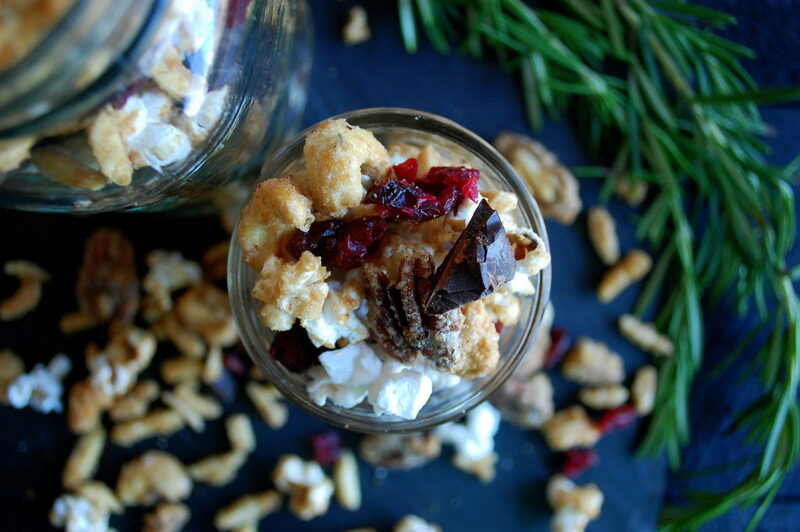 Popcorn goes perfectly with the nuts and is a very festive addition. 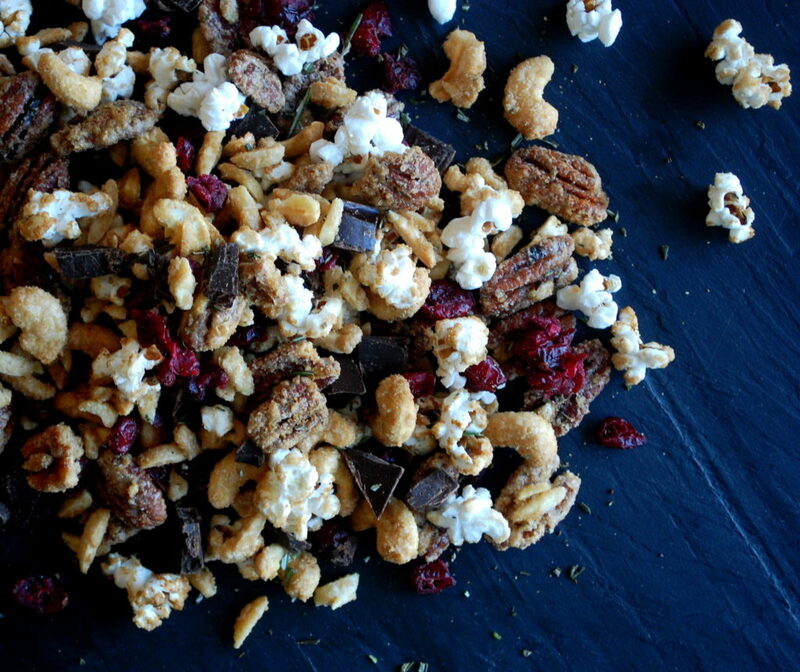 Everything gets coated in a sweet, crunchy outer layer of sugar with hints of cayenne and rosemary. Sweet, spicy, and scented with my favorite holiday herb. The dark chocolate and dried cherries are just some of the final ingredients you could fold in once the mixture comes out of the oven and cools. Other dried fruits such as cranberries or chopped apricots would be delicious, too. No matter what combination you create, this recipe is really worth trying a few times to get it right. My whole family loves getting their little bag of holiday nuts each year. 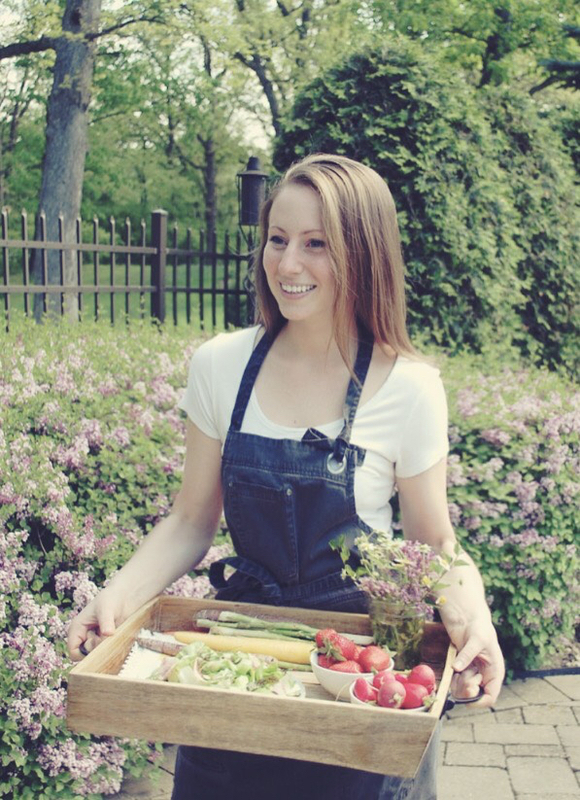 It’s the easiest, and the tastiest, Christmas gift. Enjoy! Preheat the oven to 350°F. In a 12-inch pan, combine the water, sugar, salt and cayenne pepper. Turn the heat on high and let the sugar dissolve. Boil the syrup until some of the liquid has evaporated and the bubbles become smaller. Toss in the nuts, lower the heat to medium and cook for another minute. 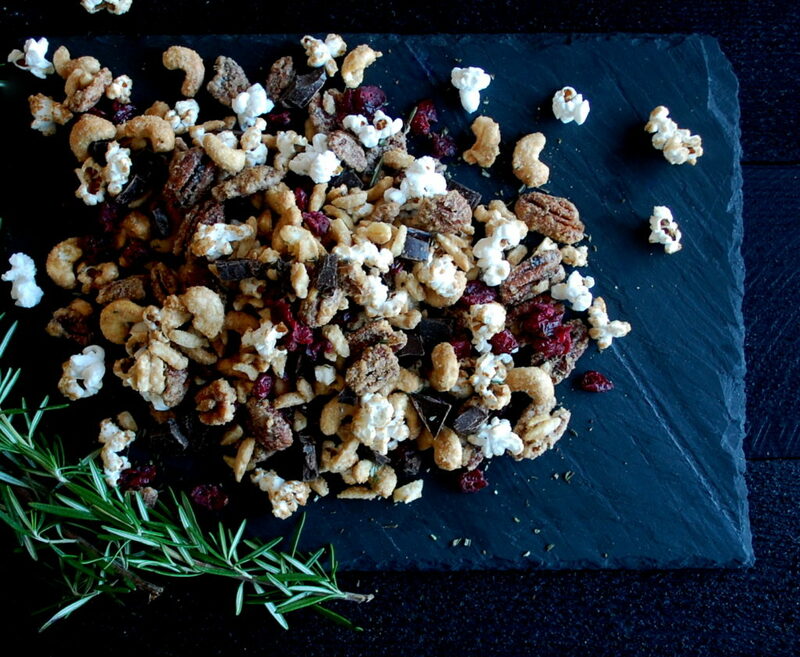 Add in the popcorn, brown sugar, and rosemary. Stir to coat. Spread the mixture onto a foil-lined sheet pan. Bake for 6 minutes. Let the mixture cool while using a spoon to gently toss it so that nothing sticks. Once cool, add the chocolate and dried cherries.